SanDisk's in-house NVMe technology allows it to saturate the USB interface, allowing maximum throughout at all times. While editing a document or spreadsheet directly from a flash drive is trivial, that’s not the case for video, where the interface speed limits performance considerably. WD’s SanDisk thinks they’ve solved the problem with the SanDisk Extreme Pro SSD. The Extreme Pro uses its internally developed NVMe technology to saturate the USB 3.1 Gen 2 interface, with read speeds up to 1 gigabyte per second. That’s fast enough for users to edit video directly on the drive itself, without the need for copying the file from the drive to a local hard drive, then back. 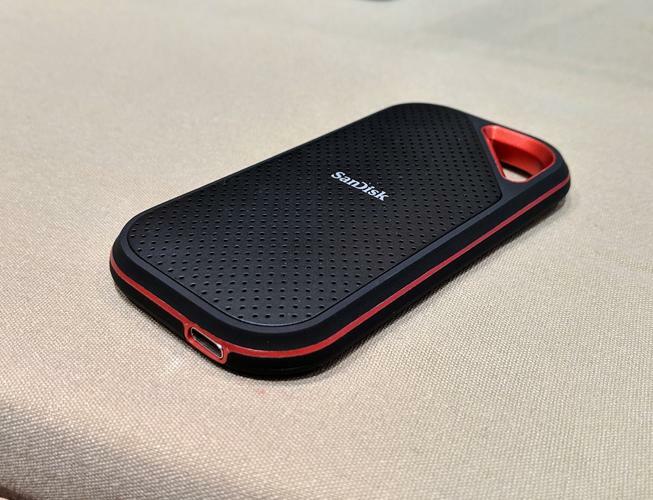 SanDisk said that the company will deliver the Extreme Pro in spring 2019, in 512GB, 1TB, and 2TB capacity points. The company hasn’t released pricing, however, which is fairly typical for storage companies announcing products before they ship. The Extreme Pro is made out of a forged aluminum body to protect the SSD core and dissipate heat. On the outside is a rubber coating that protects the drive both from dirt as well as water, with an IP55 rating. The drive itself uses a USB-C physical interface, though its ships with a USB-C to USB Type A cable for backwards compatibility.